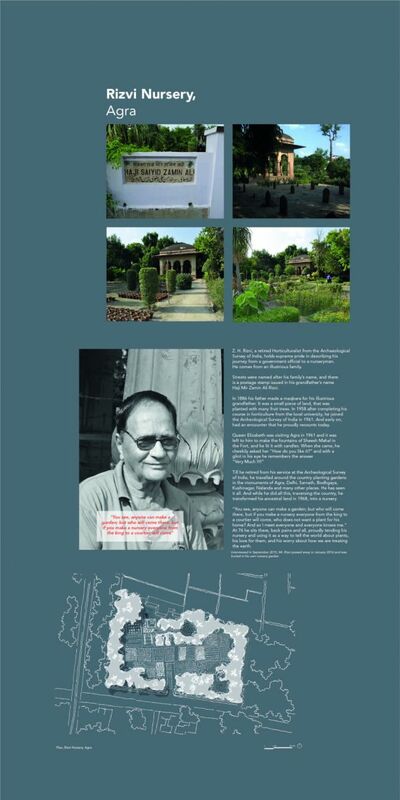 It started with that Million Garden Project; one day we were asking ” what is an Indian Garden” and the next day we were writing mails and calling friends, colleagues, old students across the country asking them to send us gardens from their regions. And slowly over a year ,we got many. So many that , we had to edit the numbers and that led to a lecture, that was received well across the globe. Then a few years later the bug bit us again, and we asked if we really knew enough about the Indian garden. Loaded and leading the question was; and designed to expose our ignorance. But along with that was a long standing impossible to deny lament. 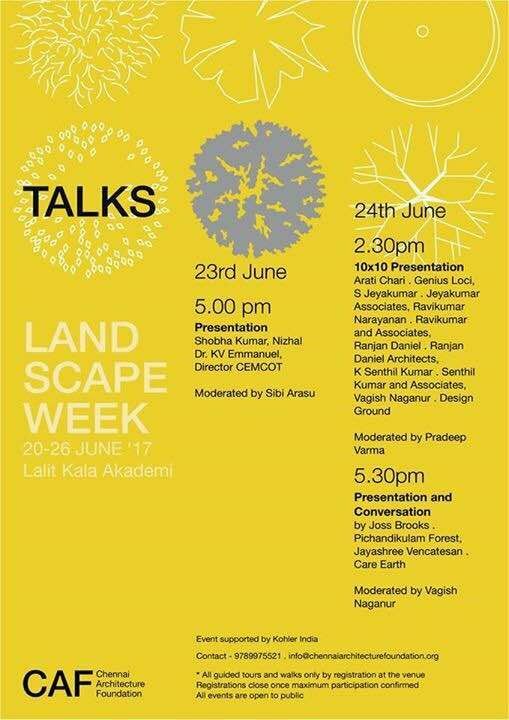 The state of the landscape profession in India continued and continues to alarm us. Its as if, its missed a beat; lost something in translation; seems unconnected; almost facile. And we concluded that this was in part because of the unnecessary schism between ” landscape gardeners” and ” landscape architects”. Simply, the landscape architect saw it beneath her/himself t o think of self as ” also ” , or ” only” a garden designer- and in that unnecessary pout he/she had cut their umbilical chords and are floating in un-anchored space; making patterns that mean little, and struggling to find their meanings. This led to an exhibition where several people worked for almost 2 years and many of us traveled across the country, seeing gardens and meeting people. In 2015 we lost two people who really held the profession close to their heart and lived its promise every waking moment of their lives. Tall upright people, passionate teachers, voracious readers, daunting academicians and brilliant practitioners. 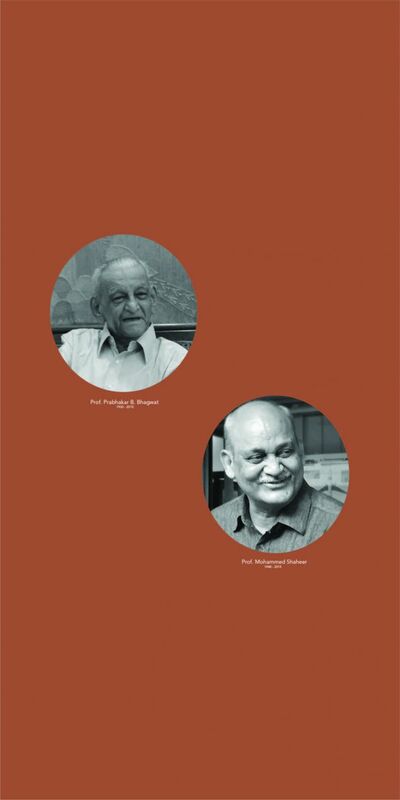 One was Prof. Prabhakar B. Bhagwat, the founder of this firm, and the other was Prof. Md. Shaeeer from Delhi. Their loss has led to an impossible to fill vacuum and it was fitting that we dedicate the exhibition to their memory. So to start of the exhibition I wrote some poetry which you must read above. And to be honest , we never had imagined it would be an exhibition; certainly not the scale this has turned out to be. Printed at half scale, largely to take stock of the work we set it up in an empty apartment we have, and called friends and colleagues to review it. They spent a day , and were kind. 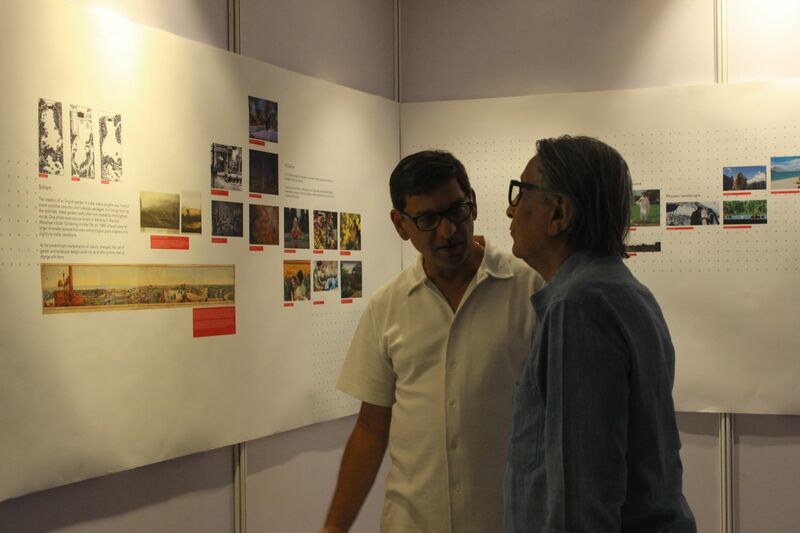 And some of them pushed us to take this exhibition across the country. 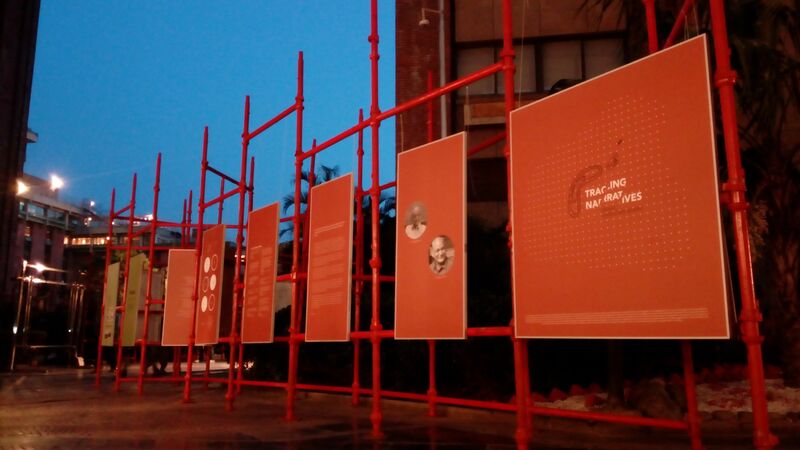 We must confess though that perhaps the really fun part of the exhibition was working on it. For over 18 months and bit more the office was possessed and while 4-5 people worked on it full time, all others were craning their necks to see what was happening and everyone had an opinion. It led us to make beautiful drawings of gardens, ( most of the gardens had never been drawn like this before). And in made us travel and meet some incredible people who left us humbled. Folks who had turned their ancestral burial ground like Rizviji , above; or nursery men whose ancestors supplied plants to the Mughals, or just nurseries such as that in Vrindavan that grows flowers only for the Gods. 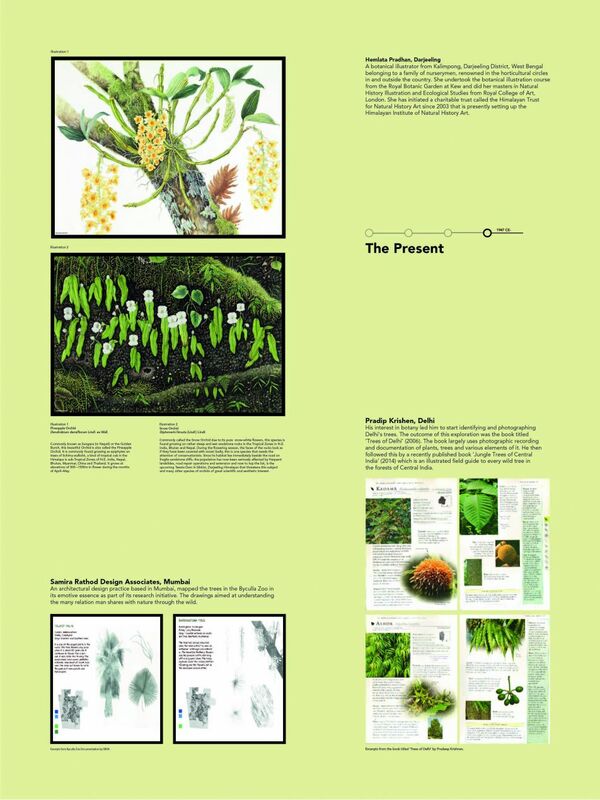 Or find with delight the beautiful drawings that Hemlata Pradhan, does of orchids in the snow mountains, or architects like Samira making wonderful drawings of trees in the Rani Baugh in Mumbai. 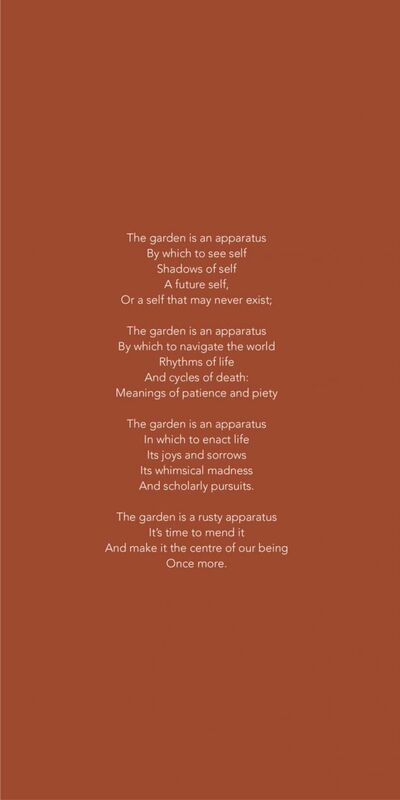 Or be touched by people like Angela, whose delicate soul was suffused and satiated by the simple modest plants in the court of an old home in Agra. Films, Songs, Books, Art, there were stories of the garden to be found everywhere and slowly the exhibition took shape. The final exhibition is about 300 feet long and weighs about a tonne , and is packed in 10 boxes, and in December last year it set sail and started its travel across the country. 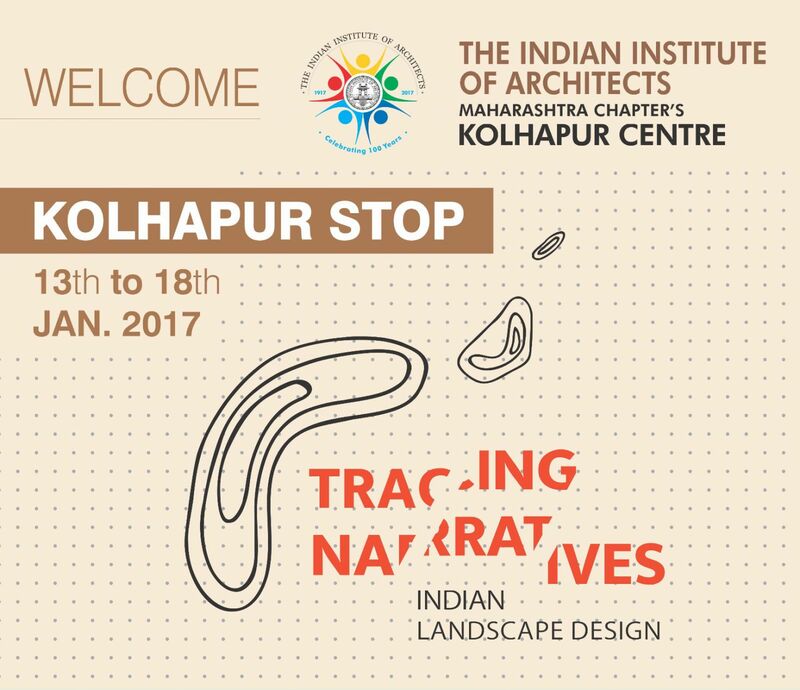 Anchored by Rina Salvi and the students and teachers at Allana College of Architecture, it made the first stop in Pune. 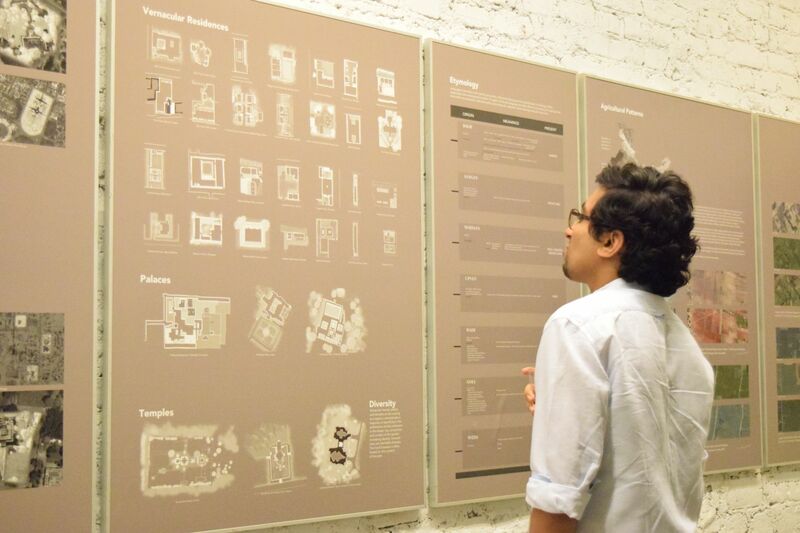 What was wonderful about this showing was the kind of talks that were organized around the exhibition. 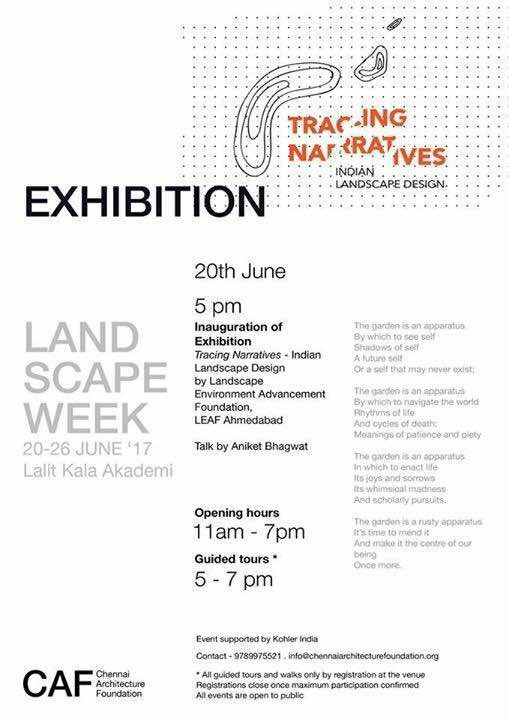 Filmmakers, ecologists, naturalists, wildlife conservationists, educators came and spoke and expanded the idea of the exhibition. In Kolhapur , helped by Shirish Beri the exhibition was in the local college and what caught us by surprise was the hoardings in town and the radio jingles that announced the exhibition. 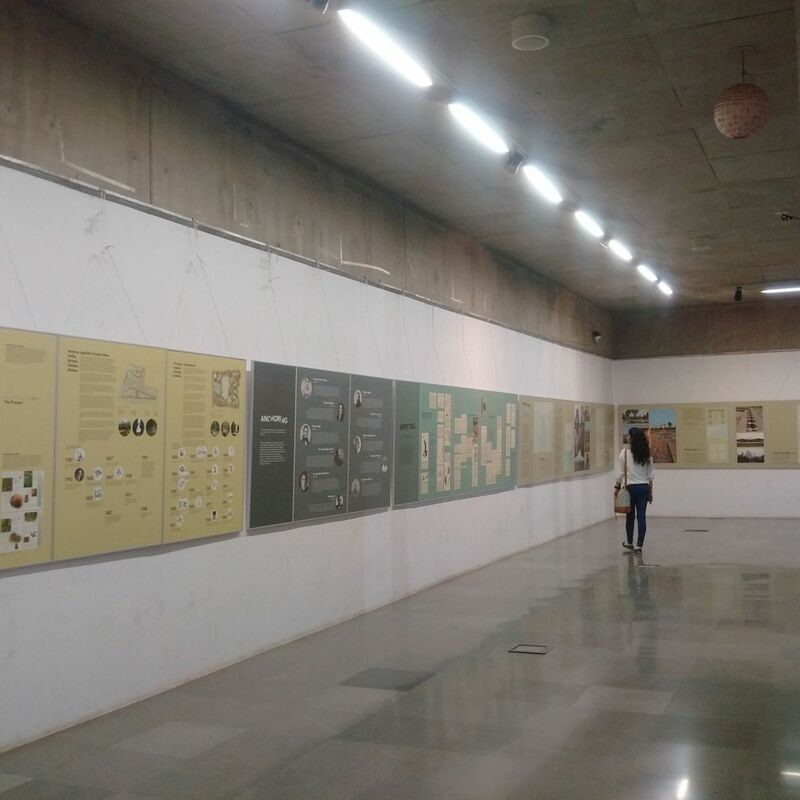 And in Surat , led by Azmi and Sarosh Wadia, it was beautifully mounted in a large modern gallery in a building designed by Anand Patel; and in the evening had a panel discussion that got the local municipal officers, come and share stage with designers of the city, to debate the idea of public spaces and gardens. 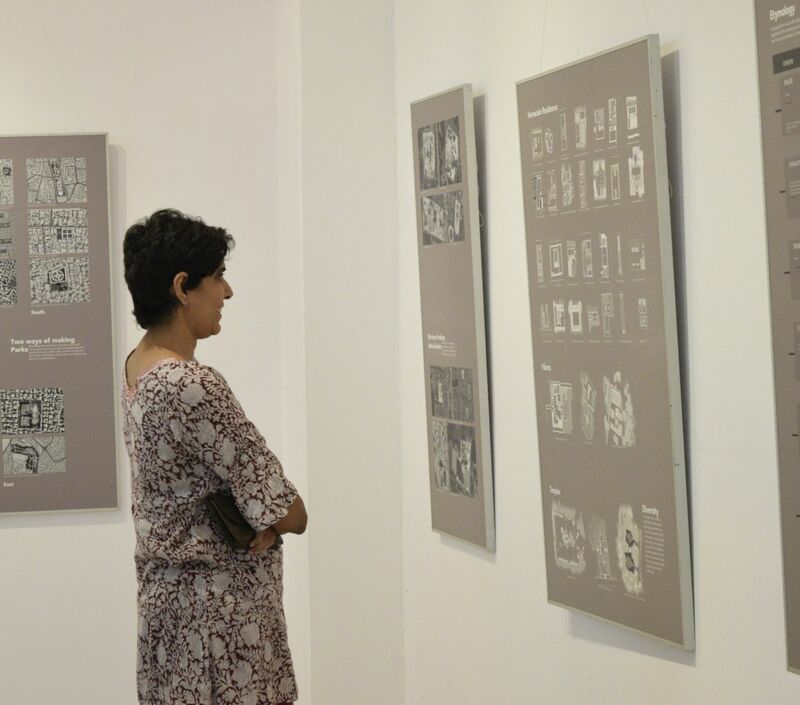 Suparna Bhalla and her office, Abaxial , pulled all stops in Delhi and just took over the India Habitat Center, and the Jhorbaugh Railway station , and the exhibition stayed for over a month. And in that time there was music , sketching workshops, talks , nursery men coming and showing plants; this was a city festival like no other ! 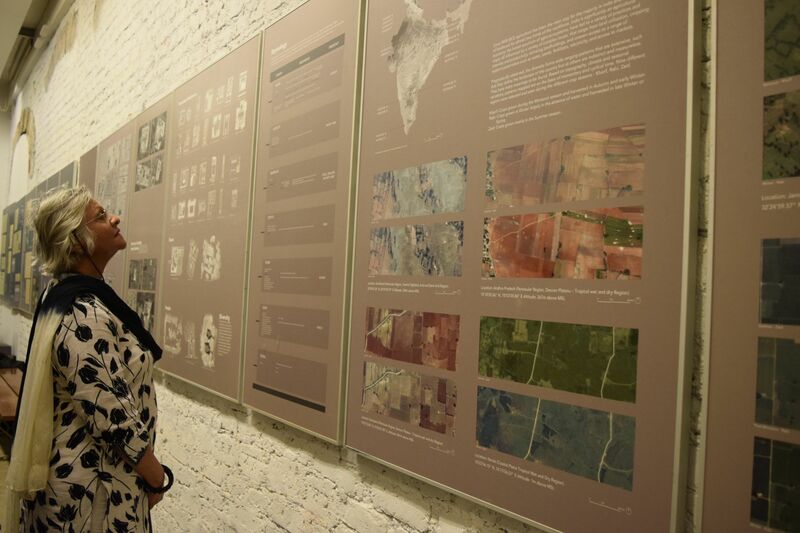 And then in the Chemould Gallery in Mumbai, Samira Rathod and her office mounted a crisp display and held two of the most engaging conversations on the idea of Forests and the City and Art and the City with architects, artists, writers and thinkers coming in to share their thoughts. But Praveen at Hyderabad , egged by Madhusudhan, had us completely floored. Starting months before the exhibition, students met, held competitions, undertook research, artists came and did installations, teachers mounted teaching games, children came and did landscape thinking drawings; it was humbling. He probably had an event literally every hour- wonderfully curated and well attended and the energy and sincerity was an education in many ways. 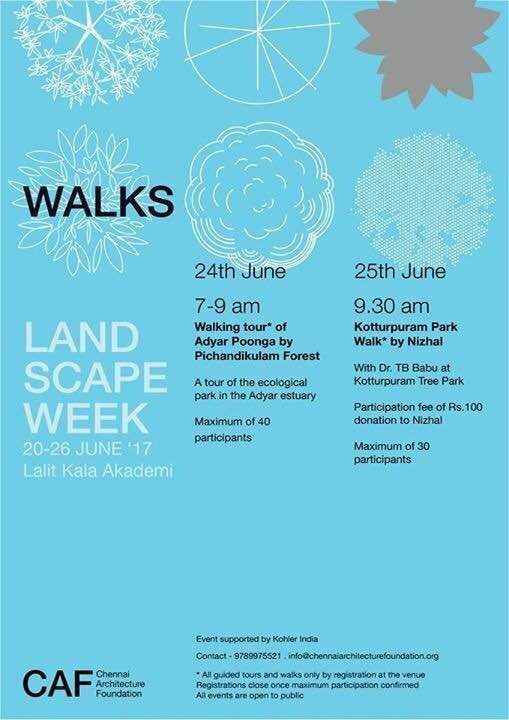 Pramod and all the wonderful people at CAF ( Chennai Architecture Foundation), Chennai mounted another crisp display and peppered the exhibition with nature walks, many presentations by landscape architects and some great conversations. Seven months now; and what have we learnt ? That we have wonderful friends out there going all the way to help out. That there are innumerable students and practitioners and lay persons in the country, extremely happy to partake in such an initiative and soak in as much as they can , its energy and learn from it. 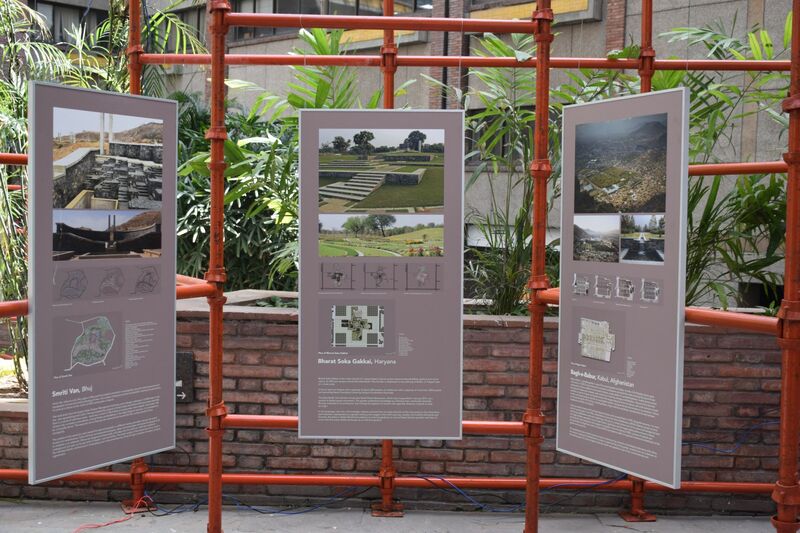 That the exhibition has laid the possible foundations nationally, of allowing new and renewed discussions about landscape architecture and the directions it can take and for countless young architectural students it has opened their eyes to a wonderful new world. And it reminded us once again that we are a community, that is happy to connect, talk, listen and discuss- we just don’t seem to have many real chances to do so. 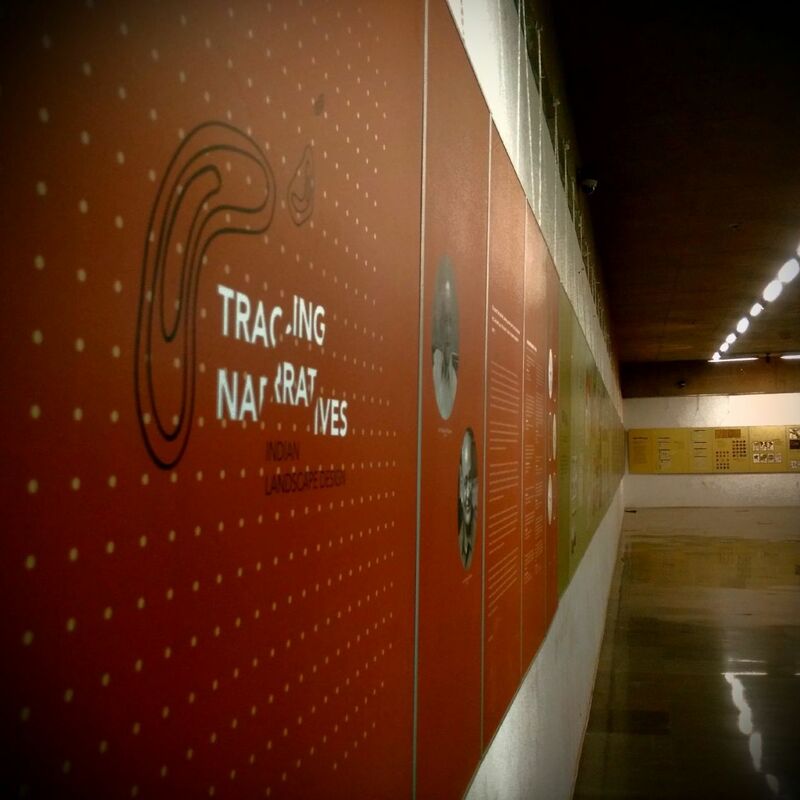 And that mounting an exhibition is an exhilarating task and traveling with it, more education than is usually possible. The travel continues. Dharmesh Jadeja receives it soon at Auroville and Pondicherry , Kunjan of Mangrove, takes it to Cochin, and Ishita who now teaches at Shrusti, mounts it in Bangalore. And then there is Baroda, Rajkot, maybe Kolkata and Ahmedabad to go. 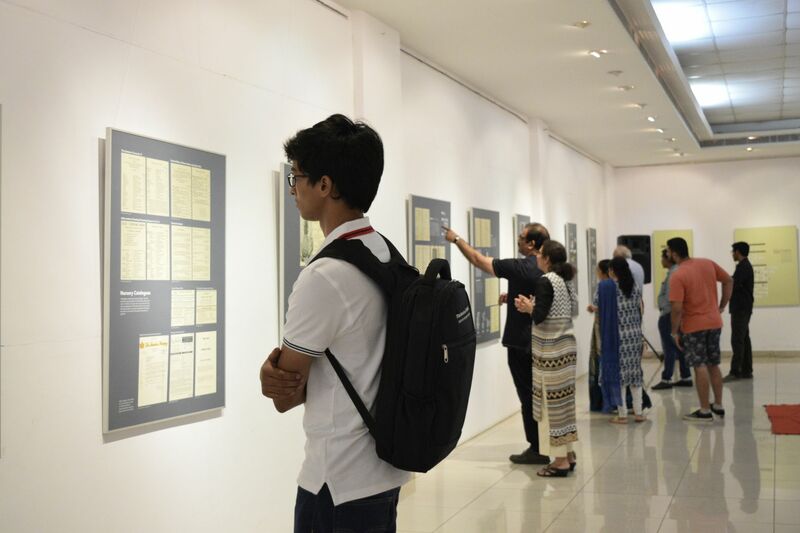 Shiny Verghese, of Indian Express, and Deepa Alexander of Hindu, are amongst the many who have covered the exhibition in all of the print media and their writing shines through. 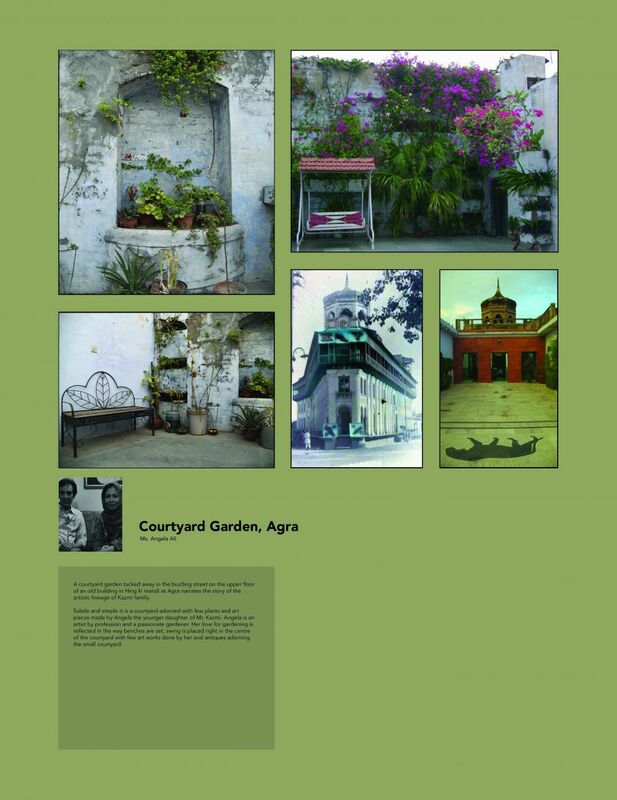 Geeta’s take in the Landscape Journal is on way and we are sure that will be a thoughtful piece too. 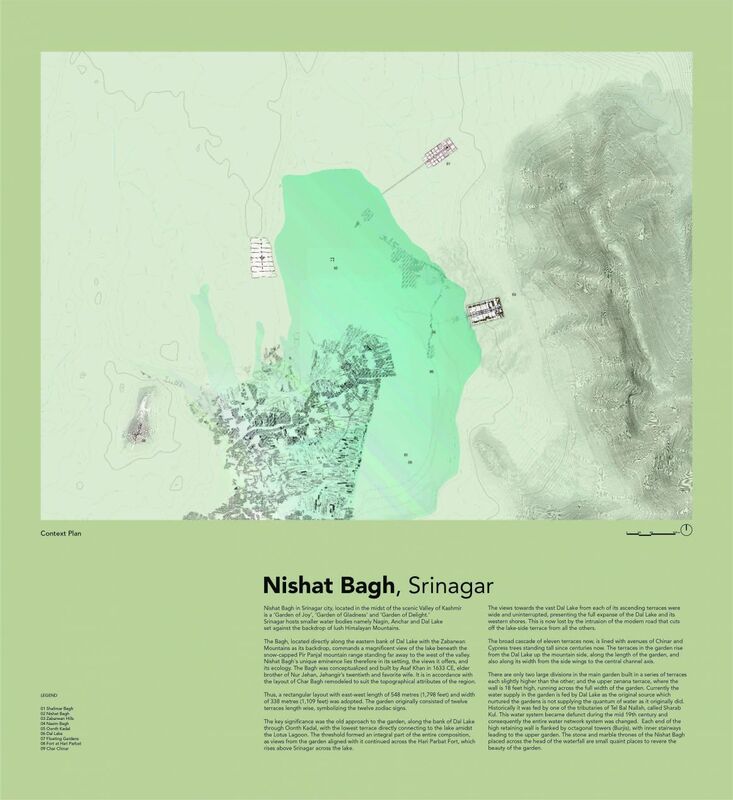 And finally and most importantly we have launched an e.book of the exhibition. Its all there and more and we hope it is of value to students , teachers and the interested lay person. This we did on 20th June, Prof. Prabhakar Bhagwat’s birth anniversary. So till the next report at the end of its tour I imagine. Almost a year back when we did an internal review of the exhibition, I had written what I felt after seeing it together. Didn’t really care if anyone would agree or not, but had said that it reminds me of a movie that was released just around that time-“Bridge of Spies” by the legend Steven Spielberg. 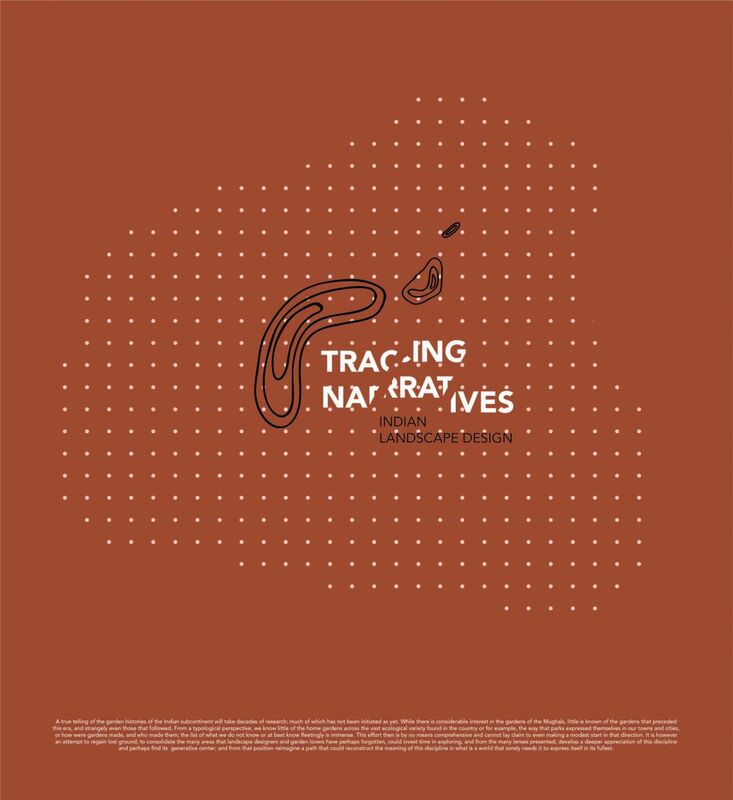 A complex story (inspired by his own experience of childhood) done with utter simplicity. This came after he has done movies of many genres from most advanced “Jurassic Park” to “Saving Private Ryan” to the animation wonder “Tin Tin”. This man has achieved success by his sheer genius and hard work. I believe that after dealing with complexities, it becomes relatively easier to make things “simple” but that doesn’t come easy and most of us may fail to do so. 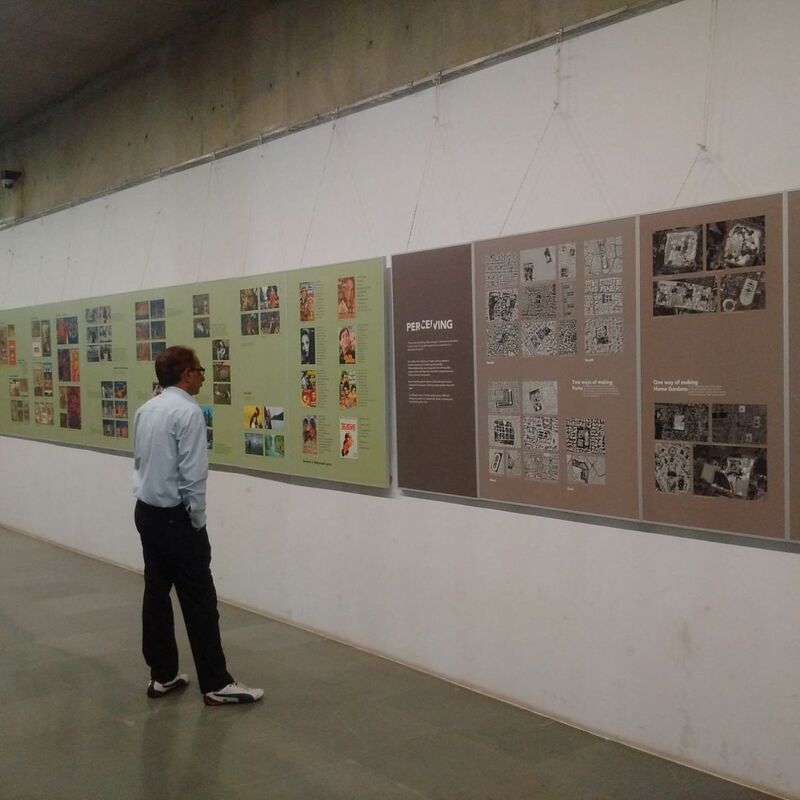 I am glad that the exhibition is traveling still and continues to find place in several minds. It has done lot of good things to many of us. Personally, it has made me more humble and proud of the lineage that we have got. Like I had said jokingly in one discussion..”I thought I was an orphan and recently I have discovered that I have a royal roots”.. 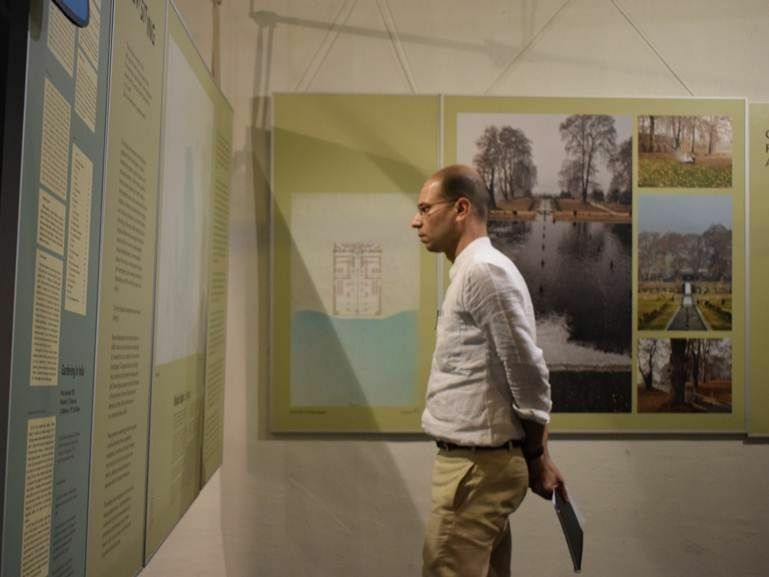 While many of us have been part of this wonderful journey that made this exhibition… it is a vision of one person……the idea of “GARDEN” never felt so secular…until now.. thank you for “Bridging” this gap..
Wonder if this travelling exhibition touched Bangalore? !